Last week on the Droid Life Show I mentioned that I don’t think Nexus devices really matter anymore. 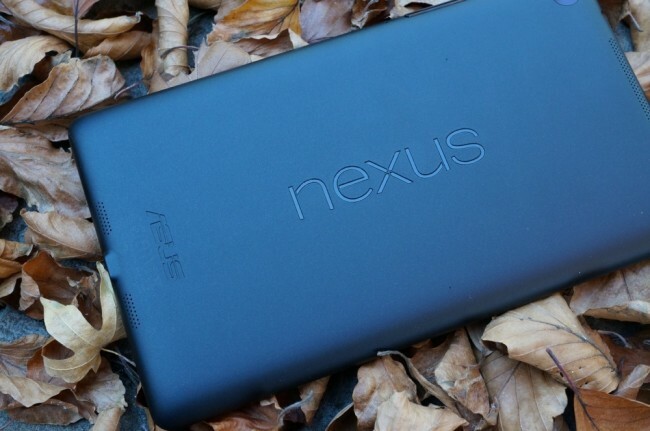 With the Nexus 5’s release just around the corner, a lot of readers became very defensive of the Nexus program. Call me self-absorbed or too worried about what people think about me (I’m working on it), but I read through every comment on our site and YouTube regarding my statements. After reading through the comments and listening to our discussion on the show again I’ve decided to try to go into more detail about why I feel this way about the Nexus program. It’s not that I hate Android or Nexus phones, but rather that I believe they could mean so much more than they do today. One reason readers insisted that the Nexus program still matters is that Nexus devices are supposed to show manufacturers what Android hardware is capable of. While that was true of the Nexus One, the Nexus program has shifted from a manufacturer providing hardware that they differentiate to the opposite. The Nexus program started with the Nexus One, which featured the first 1 GHz processor and the latest major version of Android, Eclair.1 After the G1 (which was essentially a Nexus) and the Nexus One, the Nexus program shifted from manufacturers repackaging Nexus hardware to Google repackaging flagship devices from OEM partners.2 What this has meant is that Google’s Nexus devices are no longer pushing the envelope in terms of hardware specifications, but instead following closely behind their competitors/partners. Another reason some readers believe Nexus devices still matter is that Nexus devices offer pure/stock/vanilla Android. While there was a dearth of devices offering vanilla Android following the original Droid,4 Google has changed the game by offering Google Play editions of the HTC One and Samsung Galaxy S4 with stock Android. If you want the latest version of Android faster than the carrier/skinned phones available in stores, GPE phones are a major option. If you’re not on a GSM carrier you could also consider the Moto X, which also runs near stock Android. In short, the Nexus program offers top tier devices with vanilla Android, but it is no longer the only way. When I first started getting into Android I treated Google like my sports team. I liked stock Android most and I wanted Google’s version of Android to win in the market. I loved Google’s plan to essentially transform the American cell phone market into a sort of utopia where consumers chose a device separate from their carrier. It seems like Google’s efforts to keep the 700 MHz LTE spectrum open, their purchase of Motorola, and the continued release of Nexus devices are all indications that Google hasn’t completely given up on the original dream, but Google has done nothing since 2010 to show that they’re serious about disrupting the market as originally intended. Perhaps it’s time that I woke up from the Nexus dream. It seems unlikely that Google will ever be able to accomplish their goals, especially in America. The carriers continue to have the control of the relationship between consumers and manufacturers and the FCC seems content to let that oligarchy continue. I still want to see Google’s version of Android succeed over the versions supplied by Samsung, Amazon, HTC, but it does not appear that Google is interested in winning market share with Nexus devices. The word “nexus” refers to a connection between two things. Google’s vision of the Nexus program was to make a connection between consumers and top of the line devices running software and hardware designed by Google without the carriers. The goal was to disrupt the phone market and bring power to consumers, but the program turned into a way for Google to get new development hardware from a manufacturing partner in exchange for early access to the next version of Android. Google was trying to democratize what Apple did with the iPhone and Google failed. Now, the Nexus program serves as little more than a way for Google to continue developing Android on top of the line hardware and selling the devices at a low cost for developers and enthusiasts. Google has continued to develop Android and add great new features and Google services, but this development isn’t accomplished to advance Google’s version of Android. In fact, vanilla Android’s features and services are almost always replaced or sidelined by the manufacturer’s services and features. I don’t think it’s bad that Google makes top of the line devices available to purchase at low prices for developers or enthusiasts who don’t need the phone to have service or who are on AT&T or T-Mobile,9 but it’s a far cry from what I think Nexus devices should be. 1 I can’t overemphasize how important the Nexus One was for Google and Android. This device set the standard for what Android devices should look and work like in a way that no Nexus device has done since (except for the Nexus 7). 2 HTC released the Desire, a slightly modified version of the Nexus One, a month after the original Nexus’ release. With the Nexus S, Google partnered with Samsung to release a redesigned Galaxy S. The Nexus S was released just six months after the Galaxy S first hit the shelves. The Galaxy Nexus followed suit as a redesigned Galaxy S2 with a larger battery and an inferior camera, again six months after Samsung released their flagship for the year. The Nexus 4 was a redesign of LG’s flagship phone of the year, the Optimus G, sans LTE support. This year, it appears as though Google is once again using a redesigned version of LG’s flagship device, the G2. 3 I’m not saying that it’s necessarily a bad thing that Nexus devices follow behind manufacturers, but just that the Nexus program is no longer about Google showing off the latest hardware. That said, Nexus devices have tended to not only be deviations from an OEM’s flagship, but deviations with major flaws (usually the camera and battery life). 4 There were exceptions like the LG G2x and the Xperia Play. Both devices had minor variations to stock Android. Also, Motorola’s previous generation of Droid devices lost a lot of the skinning that was present before the update to Jelly Bean. 5 I don’t like the phrasing “Google’s version of Android.” As far as I’m concerned stock Android with Google Play services is the canonical version of Android, but forks and skins have muddied up the terminology. 6 It’s possible that the Nexus 7 has introduced many more people to stock Android, but we’ll never know until Google starts to release device sales numbers. 7 Some readers (and journalists) have argued that Google can’t compete directly with its partners. Historically device and software manufacturers that try to compete with their partners (Palm is the classic example) fail to maintain those partnerships. Eventually partners are spurned and turn to another platform instead of unfairly competing with the license holder. While that has been true historically, it also appears that the smartphone market has matured and plateaued to a point where there will be no major platform disruptions. It appears as though Android will continue to be the number one used OS with iOS in second. Blackberry, webOS, and Symbian have fallen into obscurity while Windows Phone continues to insist it is the alternative to iOS and Android. Over the next few years I think we’ll continue to see OEMs fall and be purchased for parts until the next hardware disruption happens that changes the focus from smartphones to something else. For more on why I think Samsung (and Amazon) can’t fork and create a legitimate competitor to Android and iOS, click here. 8 Again, it’s possible that the Nexus 7 is a major player in the Android tablet space, but Samsung, Amazon, and Google all refuse to give actual numbers. Based on the latest usage studies Samsung and Amazon appear to still dominate the tablet market. 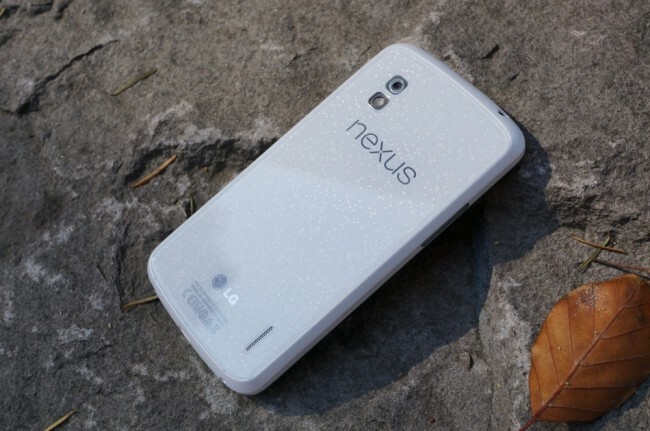 9 I know the Nexus 5 appears to be able to work on Sprint’s network, but nothing has been confirmed.